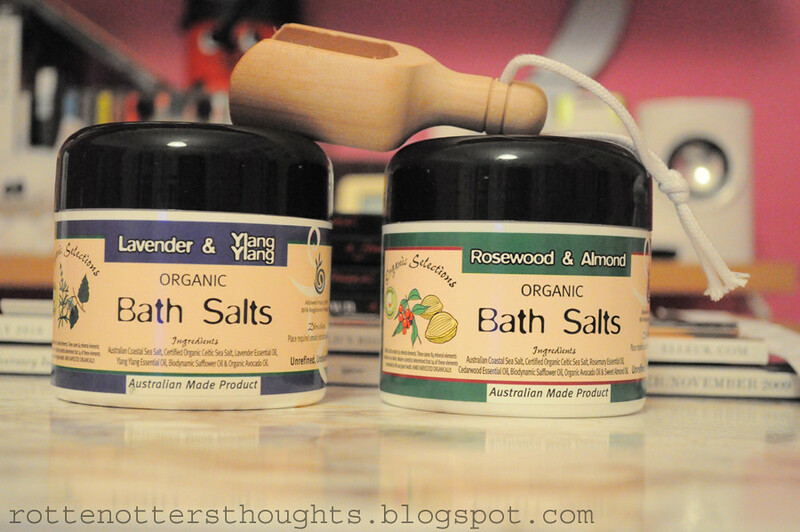 My brother very kindly gave me these bath salts for my Birthday and thought I'd share them with you :) I haven't used bath salts for years but recently have really wanted to try them out again. These two where bought from www.mypure.com from the brand Organic Formulations retailing at £4.99. The price is great as I’ve been using them for a good 2 months now and have used about a third. 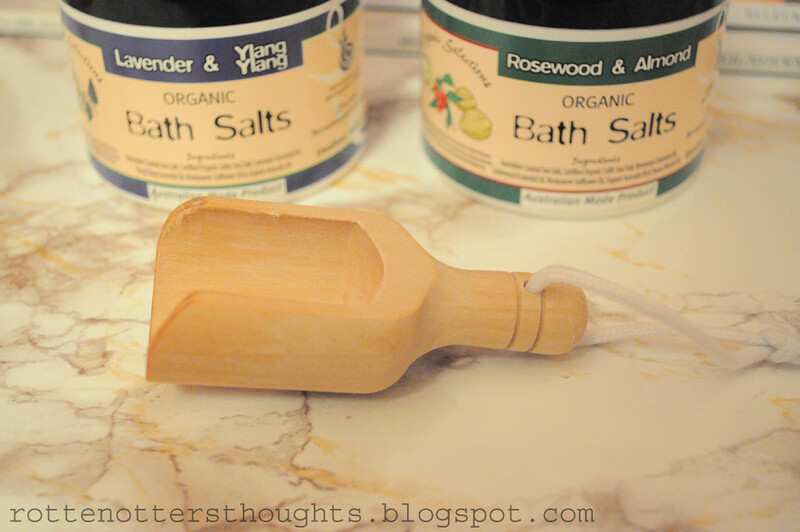 I use these when I want to have a relaxing bath but nothing too fussy. Once opened you are overwhelmed by the powerful scents! There is no need to describe the scents, they smell of lavender & ylang ylang and rosewood and almond. Once dissolved in the bath the scents become quite subtle but really relaxing. Once out of the bath you can still smell the bath salts on your skin hours later. He also gave me this wooden scooper which can be found here. It is the perfect size and looks really cute in my bathroom! I find that one scoop is perfect. I’d definitely will be buying these again! I also want to try the other two scents from this brand. 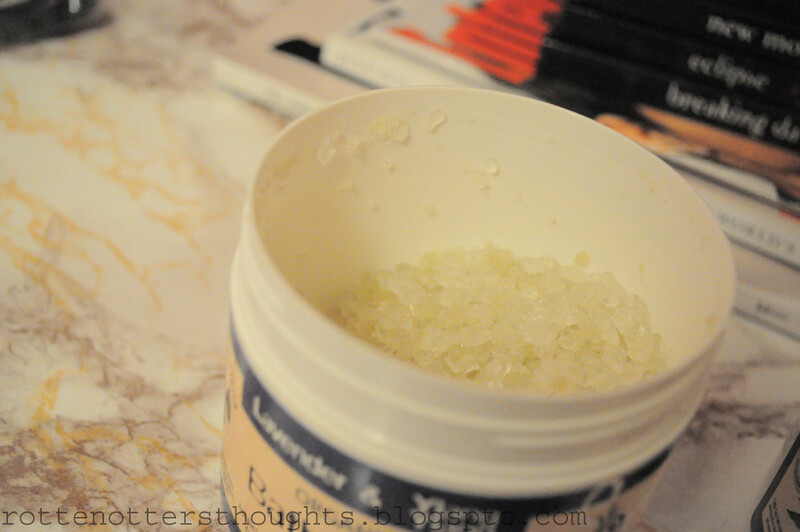 Do you like using bath salts? What brands do you recommend? Once I finish these I want to try out some more!